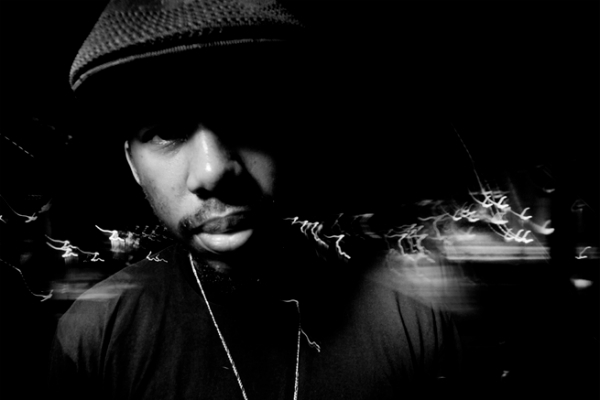 Flying Lotus, or Flylo as I and other cool people refer to him, has been on a steady climb since being outed as the artist behind a few of the bumps on Cartoon Network's Adult Swim programming, as well as a moderate underground hit with his debut album 1983. The hype machine has been churning at an increasingly rapid pace for Cosmogramma, his new album of experimental hip-hop amazingness, and really, the fervor it's currently pumping out is well warranted given the likes of Thom Yorke on the album's debut single. Our Jam of the Day, "...And the World Laughs With You" is a festival of synths and drum machine hits that lay down a haze of psychedelic beats while Yorke's vocals slowly crop up to create a spider web of melodies and ambiance. Think of it as Kid A playing in a bar next door to a club that's pumping something off Daft Punk's Discovery LP. The experience of standing directly between may come relatively close, but would in no way equal the mix mastery this song brings. Check it out - and if you like what you hear, pick up the full album with no hesitation. It came out Tuesday.